I'm not an SPS guy, but I do know about the Purple Monster and Pink Lemonade craze. Yep, sps has it's craziness, but in the case of the purple monster, it grows verrrrry slowly & a lot of people lose them. It's a bit of an exception. Even still the price has gone down probably 75% & this just justifies my point............just wait a bit & get these pieces dirt cheap. Btw, I don't buy LE designer corals. I've had a few given to me & I got a few in trades, that's about it. Most of the LE pieces are hype & really aren't all that special, just like these Acans. This really has no relevance to this thread, but the most plain of Aussie acans are much nicer than the best of the indo, and even allot of the jap collected acans. This is not true in every case, but more than not. Darn it .... I'm gonna start collecting the "ppffftt & unwanted" Indo Acans from now on .... way ... way affordable and priceless ... IMHO. I want my tank to look nice and colorful ... not a Luxury piece of Holding Tank ... for those who's got no deep pockets like me but then Aussie Acans are NICE .. in fact AWESOME !! [B]Serious, here's a quote from sufunk. In the last paragraph he specificly states "websites". "I had this same argument months ago. People on here talking up aussie acans at $200-300 a HEAD and making that out to be a steal and the lowlifes selling them for that to be great guys. They buy them, start threads with photoshopped pics talking about how amazing they are and how the price will never go down, Then low and behold, coincidentally, they have a few selling threads for aussie acans making them an amazing profit. Clint had them on his website for $150-250 a head and everyone was saying it was great and he wasn't gouging, that that is what they cost. I made the same argument as you did that there was NO WAY that clint paid thousands for those colonies and he was reaming everyone. Those colonies had about 100 heads each and everyone with a brain knows he ddint pay 10-15k each for them, thats just what he thought he could make chopping it up and gouging. At absolute most, those colonies cost him MAYBE 1k(probably more like $500) and he was hoping to make another 10k profit from them. Amazing how short some peoples memory is. The thread isnt hard to find. As soon as a search will work for me, i will find it or just search my name a few months back(6 tops) and you will see the 3-4 page acan thread. Well to be honest I am neither of the 2 and I have frag disks of aussies on the bottom of my tank. Why? Because I wanted to buy a varitey instead of spending it all on one or two whole colonies. I am not growing it for resale, but to have a beautiful multi-colored tank full of different acans. PS. I have a Full (not cut at all) Bowerbanki colony that takes up a nice spot too. It's the size of a softball and a bit bigger..LOL! Ok, those are not $10 acans. And if you want to wait till those are $10, you'll be the last guy around like in that new movie "I am Legend". Granted, that 1st morph isnt a $10 a head and never will be but if you think that that is worth $150-250 a head(like everyones buddy was selling them for) youre crazy,imo. They are insanely nice but the point is that the online sellers are taking MAJOR advantage of this "craze" and making profits that you could barely imagine. Great for them but BAD for our hobby. Also, i personally know 4 or 5 people who have ordered these "one of a kind rainbow" morphs and everyone of them to a man has been INCREDIBLY disappointed with what they received. Unfortunately, our eyes dont see in 20k naturally and our eyes dont photoshop corals for our brains like most pics people and retailers post,lol. Here it is plain and simple. They are hard to identify at these depths as to color, color combination, and from what I've been told hard to remove in general. Also, you are not paying someone 30 cents a day to dive as you might be able to in other parts of the word. Weather in the collection area. A retailer has every right the charge whatever they want, and its the consumer reasonability to evaluate weather or not they like a particular piece enough to pay the asking price. No one should be bashing a retailer for prices, you may disagree their worth, but that's your opinion, nothing more. You would likely be blown away how many "OK" colonies that bought at a premium just to have chance to buy the Ultra AAA stuff. They have to make up their margins when buying pieces that don't have that "WOW" factor, and are lucky to move them at cost. These are the type of things retailer have to deal with to get good corals. Buy 10 AA colonies, and we will give you 1 Ultra. People complain when you don't have the best of best, but then complain when they have to pay extreme prices to get them. Not understanding what is involved in acquiring the ultra premium corals. Its easy to sit here and complain about prices, but it is what it is. Im sure no one expects to sell out of a 800 a polyp coral very fast, but when you have jump through a million hoops to get it, are you supposed to then just give it away? Again I say....this thread is pointless. I wouldn't pay $150 a head. But I'm sure someone out there might. As an attorney, I'm sure you've seen all the crazy things people will do. Today with all the Aussie stuff, no I don't think many people would. But in the very beginning when it was first trickling in, I could imagine there were people paying that price. But taking advantage of the craze happens in every market. Plasma TV's, Sony Playstations, even new cars. Remember how much people were paying for the Mini Coopers? Or the Miatas in the 90's. I mean the wait list for those cars were crazy. People were paying at least $5000 over sticker and still waiting months. How much were those Playstations going for on eBay? But it also goes both ways as well. As buyer we can dictate the price was well, within limits. I don't see BMW giving $5000 rebates on their cars. Because people buy them anyways. But Ford and Chevy are always giving rebates and incentives. Why because those cars aren't in as much demand. If you go buy a car at the end of the year when they want to get rid of old stock you can probably knock off $5k off a $35k car. Now in reversal as the buyer we're taking advantage of the situation that the seller is in, right? The car is old stock they need to move it and they are desperate. Just as the sellers take advantage of the hype and craze when something first comes out. I'm not saying its good that they stick it to us, but in turn we stick it right back to them as well given the opportunity. We just label ourselves as being thrifty. And yes, most of the corals you buy online won't look as nice as the picture. There are alot of shady sellers who do photoshop, but there are also alot of sellers that don't. Stick with who is reputable and say away from who's not. If you don't know, RC is a good place to find out. You can check the seller feedback section. All kinds of good stuff. You live and you learn. Hey I've gotten burned as well buying online. Hell I've even gotten a coral different from WYSISYG. How is that possible? So he's on my list of never to buy from again. And whenever a thread arises on his reputation, I give my experience, but as always YMMV. If you can get me the rainbow colored acan in the middle for $8-15 or even the red one with pink ring inside (right next to the rainbow one). I'll pay you a finders fee. Seriously. But if you're talking about the all green one or the red and grey one. I see those for $10 a head all the time. And thats exactly what I mean. An acan is not an acan. They are not all equal. PM me if you can seriously get me those 2 morphs for $15. If anyone thinks Aussie corals are selling for the same price as Indo corals (wholesale that is) you are sadly mistaken! The Avg. Aussie coral cost 2-3 times the amount that the same exact coral from Indo would cost. It all starts at the top and rolls down. Most LFS don't even order Aussie corals due to there price tag as the Avg. LFS customer will look at you crazy when you tell them $20 per polyp let alone $50-100! The only beef I have is with everything being "RARE" now a days just to sell it. Also don't be surprised if Australia cuts off exporting again then the prices will really sky rocket! Another thing most people don't think of is the DOA and ugly corals that never sell. As a Vendor we pay for the coral whether it arrives Dead or Alive. Part of the mark up must include the DOA's, Rent, Utilities, Insurance,Advertising,etc,etc. No one in this business that I know is getting Rich.................at least not at the LFS Level. I have done orders for Thousands of dollars and got maybe 10-15 good corals and 20-30 that may never sell. There is a lot of gouging out there but not by everyone! With that said just like in any business there are some gougers out there and it is up to the consumer to educate themselves and make the choice that is best for them not anyone else! Last edited by Underwaterparadise; 01/09/2008 at 02:54 PM. Couldn't have said it better myself!!!! Junior, from your posts i know that you are all about the aussie acan frags, tyree, le etc... That is fine but again you are purposefully misstating the point. Obviously it is more expensive to collect from Australia than a 3rd world country BUT the point is despite the higher cost, online vendors are completely reaming their customers with these outrageous per head prices. Yes the cost is higher but they are still paying just a few dollars a head for what they are charging $150-250 a head for. The thread i keep mentioning had pics of 100+ head colonies and they were asking $150-250 a head. Despite how nice, rare, and hard to collect that they may have been, the vendors paid less than 1k MAXIMUM for those entire colonies and were hoping to make 10-25x what they paid for it by chopping them up and touting them as "ONE OF A KIND!". If you think they were spending 5-10k for those colonies, you are very naive but i know that you know they didnt pay nearly that much. Cost of collecting has nothing to do with it, vendors are making higher profit margins than they ever dreamed of on these Aussie acans. That is BAD business and BAD for our hobby. As to bashing retailers, if they are gouging people, they should be bashed. Just because they have a few customers that are happy to pay any amount doesnt mean they are not reaming people with their prices. I have no problem paying extreme prices for best of the best. However, "extreme" prices should be within reason. Trying to make a 2000%(not 200%, 2000%! )profit Its a business and they are out to make money but to chop up a colony that cost you maybe 1k to sell it for $150-250 a head to try and get 25k from it is shady imo and you deserve to be bashed. All delight, i agree with almost everything you say. We as buyers should be helping to dictate prices. However, when you have a bunch of "investors" on here saying that these prices are fair, prices will soon skyrocket, this thread is stupid, etc and justifying these outrageous prices for their own gain, prices will stay insanely high. This thread is stupid. If you think it is too expensive and that they are gouging you just don't buy it. If no one buys it the price will go down. Its all about supply and demand. Venders need to make their money somehow. If it were so easy to get rich selling coral, everyone and their moms would be doing it. I on the other hand, think my acans were worth every penny that I paid. Very nice but was that right after acclimation? they look a little po'd. I'm glad to see yours though, it looks like you actually have a tank that you view and enjoy, not use as a side business. I'm clearly in the minority on this issue but i think EVERYONE will agree that this hobby has gone thru a MAJOR change in the last few years. Just a few years ago, peoples tanks were almost exclusively for them to view and enjoy. People who only buy corals that are "hot" in the hopes of fragging them and making money have SKYROCKETED the last 2 years. The number of actual "reef" tanks as opposed to tanks only containing a million frag disks of tiny "hot" corals has gone WAY down. Unless you have a 6000 gallon tank, i'm really interested in what someone is gonna do with 30, 50, 70, 100 adult acan colonies when these frags grow out in a few years??? Just like many other hobbies recently, alot of people have gone from reefing for fun and enjoyment to trying to turn a profit. That was right after the lights turned on. They do get a lot puffier. I bought this and worked something out for two additional rainbows with this seller. If I had a camera I'd post some pics, they look exactly the same. I received 28+ polyps counting babys and partials for $300. Obviously someone has a hard on for this clint guy. I've never dealt with clint, don't know him. But if he can sell anything and make a damn good profit.....good for him. I'm not jealous of that, so it really doesn't bother me. It's business in the business world. Go to ebay and look up "hydor koralia 3" Prices range from $29-49 for the same exact pump. Do I feel the need to cry about someone selling it for $49? Nah. I'll just take my business to the right person like I did with my acans. Very nice pic ianiwane. That thing is beautiful. Do you have any more to show us all. sufunk you need to just stop everyone sees that you dont like clint, and that you hate that acans are so expensive. Find something better to do then waste RC's bandwith seriously this thread is pointless. ianiwane, since you are an old time planted tank person tell me, doesn't this thread read a lot like the ADA threads on APC or PT? I was laughing when I started reading this thread. Different aspect of the hobby/different product same old debate. Clint, I don't have any new pictures that you haven't seen. haha. Emc2, it pretty much is the same argument. Its all about the money. 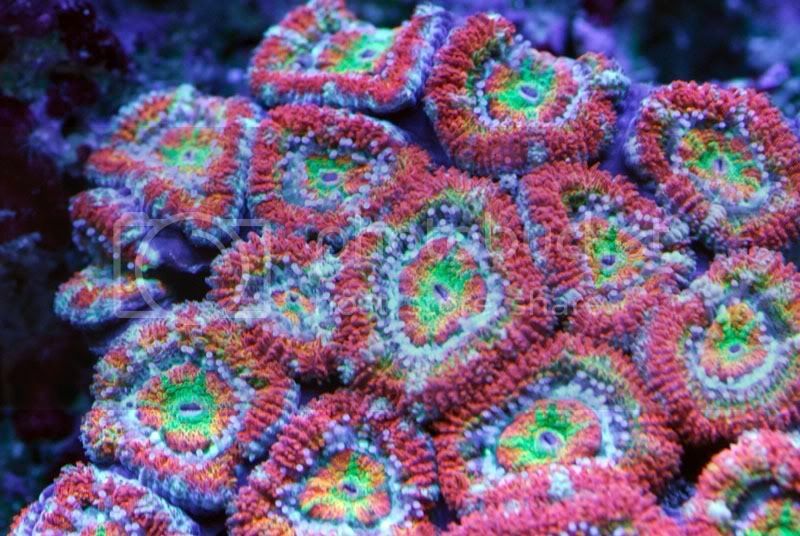 [B]Junior, from your posts I know that you are all about the aussie acan frags, tyree, le etc... That is fine but again you are purposefully misstating the point. That's a pretty bold statement. For the record, I don't have a single piece "tyree" or LE, or any other ridiculous adjectives someone wants to put in front of a coral in any of my tanks. I have never bought any coral because of its price or popularity. I go to a shop, find the coral I like, then ask a price. if its out of my comfort range I pass. I have never once even sold a single polyp of anything So before you go making ASSumptions about people I would advise you to get your facts straight. Secondly, im not avoiding anything, my point is, you have no point. I don't see you on here slamming Steve tyree for selling 1/4" x 1/4 pieces of coral for insane prices, taking peoples money years in advance, etc. I could write a list a mile long of online retailers with prices that are as high, or higher than Clint. Did you take the time at look at the beautiful COLONIES he has available for under 200 bucks? Do you honestly think that is above his cost? Have you even seen an airway bill for a coral order from Australia? Well I have, and you would &^%( yourself if you new what it cost. Your not making a statement, your taking shots at one individual retailer. Get off your soap box, and move on. Clearly people are entitled to there opinions, but you seem to think its ok to push them on other people, and criticize those who do not agree with your opinions. Who is Clint?I get all my corals locally so I don't know.I do but my salt online though. And in regards to my reputation, go take a peek around Michigan Reefers. Having never sold a single piece of coral, I have however given away DOZENS of frags to people I've met in this hobby. Not everyone is in this hobby to make money. Clint owns "the captive reef"
of which, I've never purchased from, and my opinions are simply a matter of principles.